What goes on at IK1ZYW laboratories, day by day. 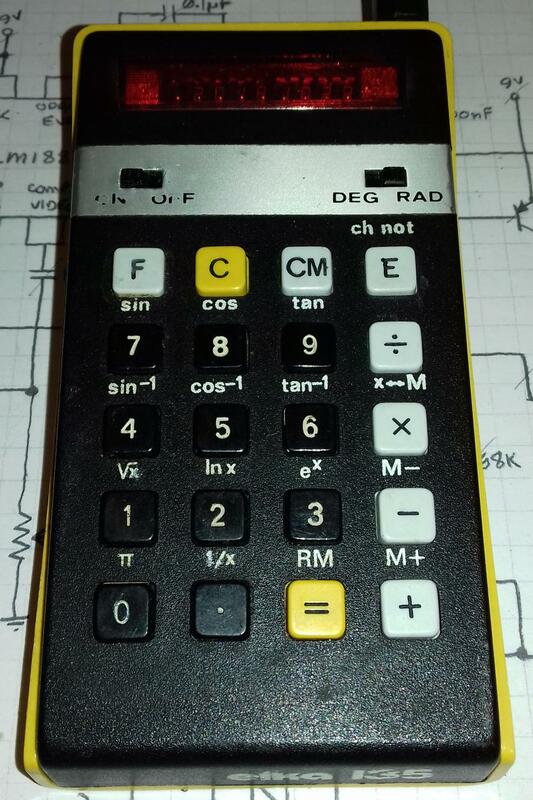 Meet the Elka 135 scientific calculator! I bought this marvel in FN 2018 fair. Batteries had leaked inside, so this was the fault to fix (yet again). 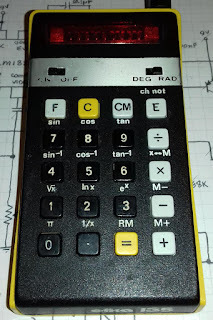 There are few pages online that describe this calculator made in Bulgaria. I like the 8-digit LED display. It can be powered from an external 6V DC source through a 3,5mm audio jack (!!). Using a variable voltage power supply I could confirm that it works down to 4.5V and a small "L" appears in the leftmost position: this means I can use this calculator with USB power, without fully restoring the battery contacts. 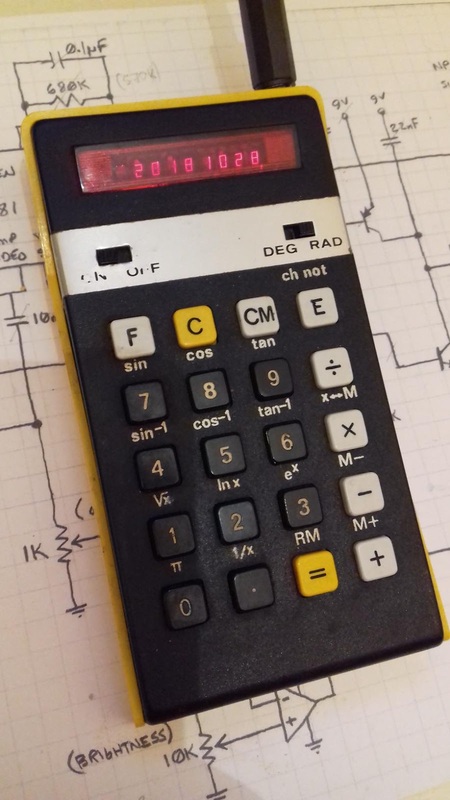 Few keys are bouncy resulting in double-triple press, but I am not sure whether they were like that in the original, non-damaged calculator. 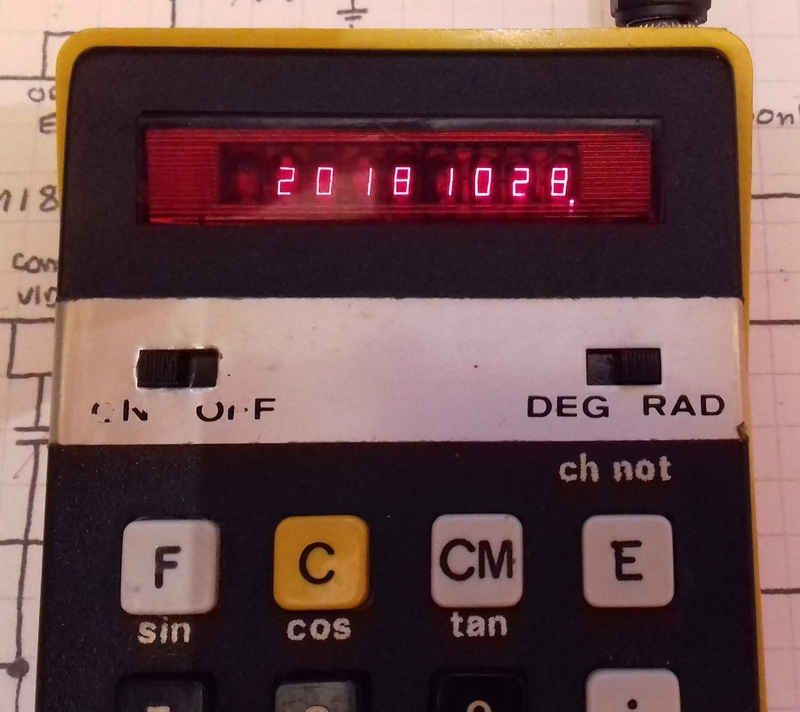 More complex operations take some time, and the left position in the display keeps updating until the result is ready. This device is quite power hungry, because of the LED display, but modern batteries (or USB power) can handle it. If you happen to hold presentations, whether in front of a large audience or a Club group of people, spice up your speech using a Prezi-based slideshow. If your files are spread across several computers, even on different operating systems (Win, Lin, Mac), you might appreciate the free service offered by Dropbox. And if you decide to sign up for the initial 2GB space, please consider using my referral link so that we both get a free upgrade (+250MB).